Last night I put up a picture on Instagram like I do every day as part of my Project 365 photo challenge. Which is part of capturing a snippet of our day. Yesterdays was a snippet of our day that I wouldn’t want to have to go through again, or I hope anyone has to go through. I thought about not using that picture for that days photo, to pretend that it had never happened. With the fear that people would think I was attention seeking, or not liking the image as it wasn’t ‘Instagram friendly’ but then I thought, ‘No, this is real life, this is my life, and this is what I have been through’ so I posted it. I had a few people ‘unfollow’ me, but most of all I had lots of lovely messages and comments from people saying how pleased it was nothing, and I was all OK. I then wanted to tell people about my experience, because it is a scary thing to go through even though mine was positive. It was all OK, and the lump I had found was nothing to worry about. A ‘Fatty Lobdule’ as he put it!!! I thought it might be helpful to tell people how important it is to check yourself, and IF you do find anything to hear someone else’s experience. So how reassuring is that? I found a lump in my left breast a couple of weeks before Christmas. As I was due to come on my period a week or so later I thought I would leave it and see how it changes through my cycle. I hadn’t felt this lump before, but I thought it could have been something to do with my cycle. I tried to ignore it over Christmas, and decided if it was there after Christmas I would book to see the GP. It didn’t change, it was still there about a month later, so I booked in to see the GP. I mentioned to the receptionist why I needed the appointment, and I wasn’t sure how urgent you feel this appointment is. I was super lucky, and was able to go and see the GP two days later. GP appointment came, and boy did it hit me. Suddenly I am sat here waiting for someone to examine my breasts, which means I have found a lump and it could be something bad. I had that gut wrenching feeling in my stomach. The GP was lovely though. I explained my symptoms, and that I hadn’t felt this lump before. Also I have family history of breast cancer in my Grandmother. The GP examined me, and said ‘I think it is fine, and nothing to worry about, but I will send you for a scan to check it out’. I had hoped that she would just tell me it’s nothing to worry about and off you go!!! All suspected breast cancer referrals are fast tracked, so the NHS have stated that they will see you within 2 weeks from referral. Suddenly this had got all too real for my liking! However, I cannot fault the NHS, my appointment arrived and 10 days later I was off to our local hospital. This was a strange day straight away, I was going back to the same place that my twins were born. The same place that I had spent every 2 weeks going for scans on them, and where they then spent 3 weeks in neonatal. I hadn’t been back there since June 2009! I went to the Breast Imaging Unit and sat in the waiting room, with all the other ladies who there for the same thing. I hoped that every one of us would walk out with some positive news. Their partners waiting for them to come back out, looking at them straight away for news, however nearly every lady couldn’t wait to get out of that department as quickly as possible! I was called through into a small room, I had read that if you are under a certain age you may have a Ultrascan, rather than a Mammogram. I was quite happy with that thought. 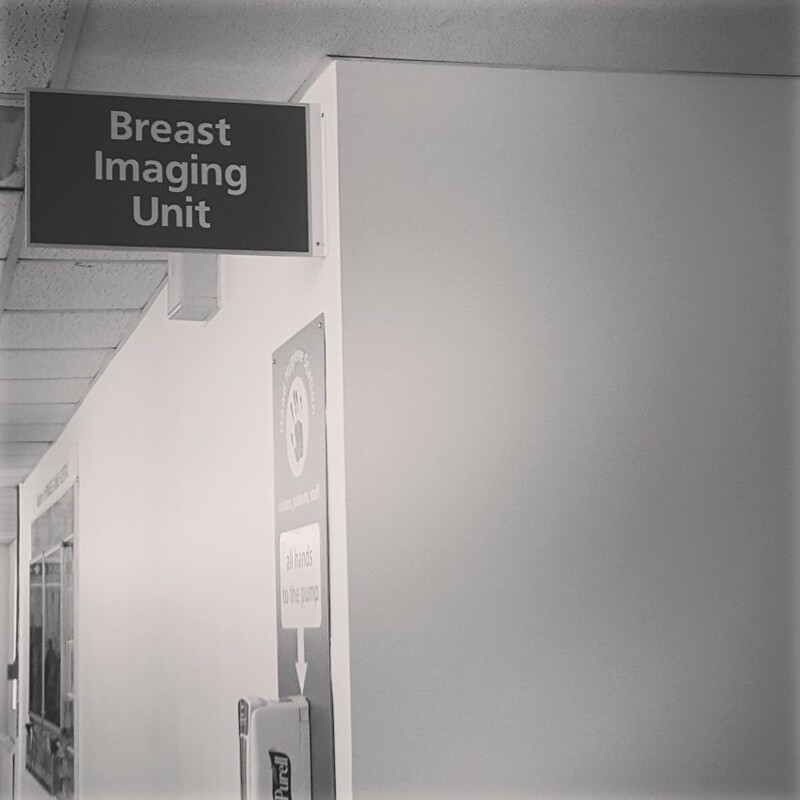 So I laid on the bed with my top off, and she scanned my breast, asking where I had felt the lump and letting me know that she couldn’t see anything she was worried about. Taking a couple of pictures of it, and a good look around. She was very kind, reassuring and said she would send this information off to the specialist. It was over! I was out of there!! Going back into the waiting room, with Kevs eyes searching deep into mine, looking for an answer on what the result was, so I gave him a quick ‘yes it was OK’ and leaving straight away! You HAVE to go and see a specialist after having the pictures taken, this can be straight after this appointment or on another day like mine was. I was handed a note after the scan, stating ‘The scans are not 100% accurate, and you must see the specialist to examine you properly’. OK so that then plants a little bit of doubt in your head, I felt really reassured that nothing showed up on the scan, but now their saying that they aren’t 100% accurate. Great! So a couple of weeks later it was my specialist appointment. Back to the hospital! We saw the specialist who went through some questions with me, and then wanted to examine me properly. It was nice to be reassured that he knew what he was looking for, and that I would be able to draw a line under all of this. So I was properly examined by him, with a nurse in the room with me too. He examined me laying down, with my arms up, then sitting up. Looking to check everything. I did feel that if there was something, he was going to find it! He did question what the big chicken pox scar I have on my chest was!!! Then that was it, it was nothing to worry about, that it was just a ‘Fatty Lobdule’ and you must carry on checking yourself regularly but that the lump I found is nothing to worry about. So me and my ‘Fatty Lobdule’ said ‘Thank You very much’ and was off quick sharp!!! So I hope that reassures you as much as it can if you are currently in the same position as I was, I didn’t really find anything like this when I was going through it, so didn’t have a clue what to expect. So I hope it helps some of you, and shows that it isn’t always bad news. 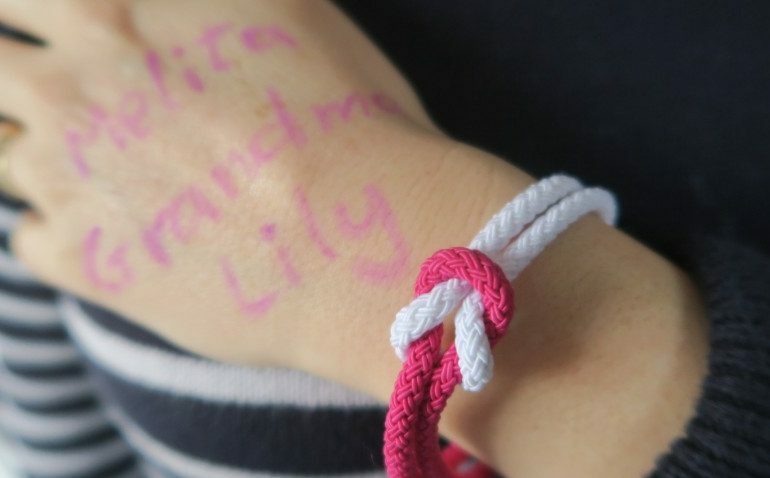 I am playing my part for World Cancer Day on 4th February, by wearing my Unity Band and remember my family members. I am so glad you are ok! 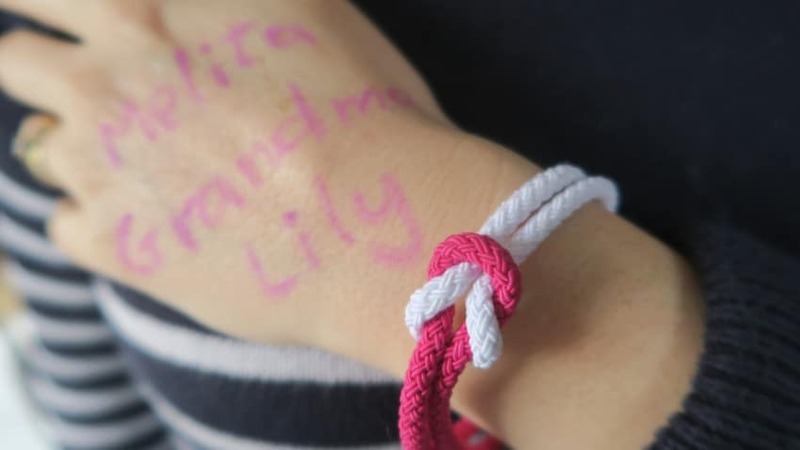 Well done you for raising awareness! Firstly, I hate that people think that you are ‘attention-seeking’ when all you are trying to do is raise awareness. I too went through this back in December 2012 and, thankfully, my lump was for exactly the same reason. It is so important that people get themselves checked. So pleased to hear that you are OK. Thank you, sorry you had to go through it too, but glad it was the same result as mine.